"If you buy live mussels, place them in an open container, cover them with a moist cloth, and chill them for up to five days. Remove the beards just before cooking. Once debearded, the mussels will die." 1) Scrub frozen mussels under cold running water. In an 8-quart Dutch oven, combine 4 quarts cold water and 1/3 cup of the salt. Add the mussels; soak for 15 minutes. Drain and rinse, discarding water. Repeat twice with the remaining salt and additional water. 2) In a large Dutch oven, cook and stir sweet pepper, onion, and garlic in hot butter over medium-high heat for 4 to 5 minutes or until onion is tender. Add Cajun seasoning; cook and stir for 2 minutes more. 3) Carefully add wine; bring to boiling. Add mussels. Cook, covered, for 5 to 7 minutes or until shells open and mussels are cooked through. Discard any that do not open. 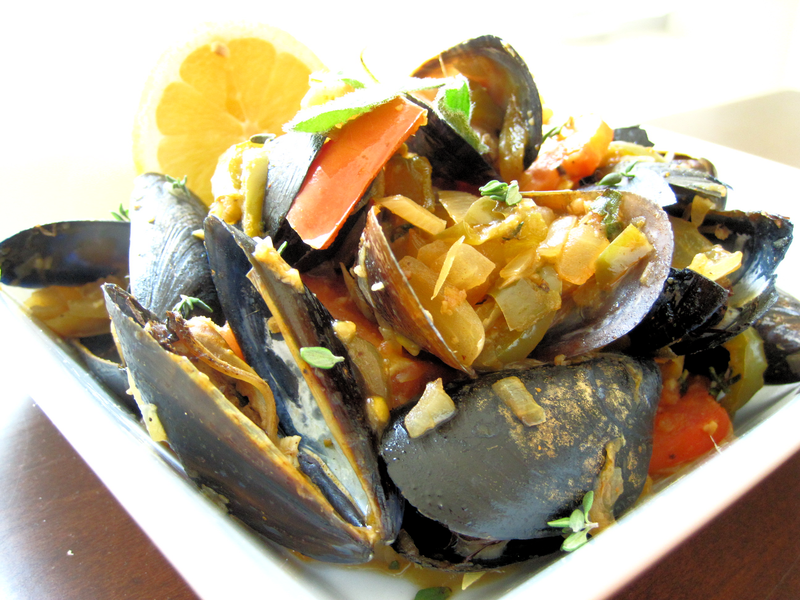 4) Using a slotted spoon, transfer mussels to a large shallow serving bowl; set aside. Stir tomato, oregano, and thyme into cooking liquid in Dutch oven; heat through. 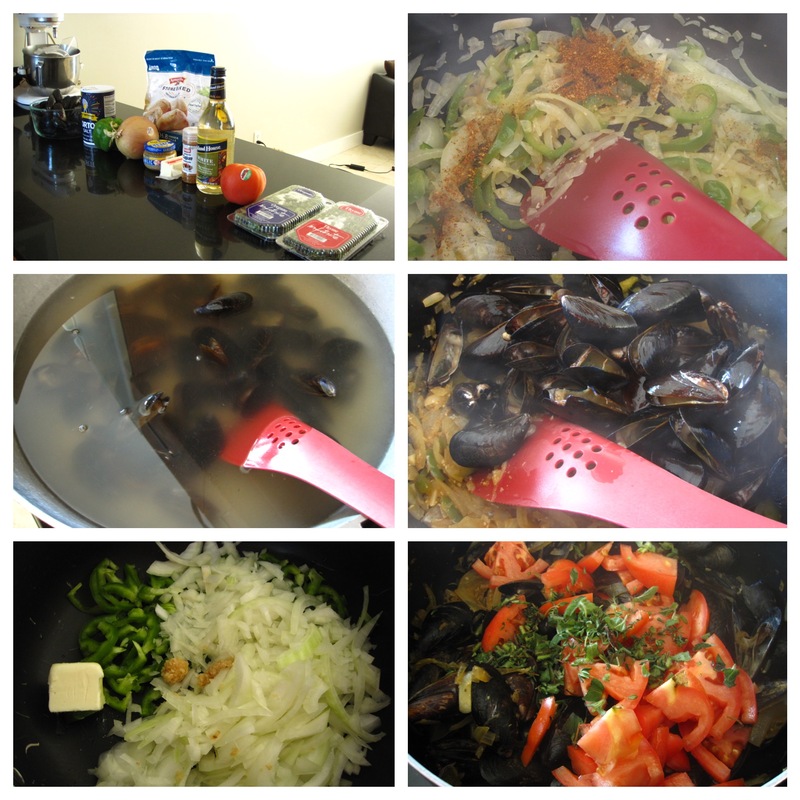 Pour tomato mixture over mussels. Serve with bread and lemon wedges.